just as there are different types of texas girls, boston boys come in all shapes, sizes, and levels of football addiction. i happen to have found one with an overwhelming addiction to the patriots- so I know that one sacred time each week, he’ll be watching football and i’ll be dreaming of NFL strikes. just kidding, it’s not that bad. 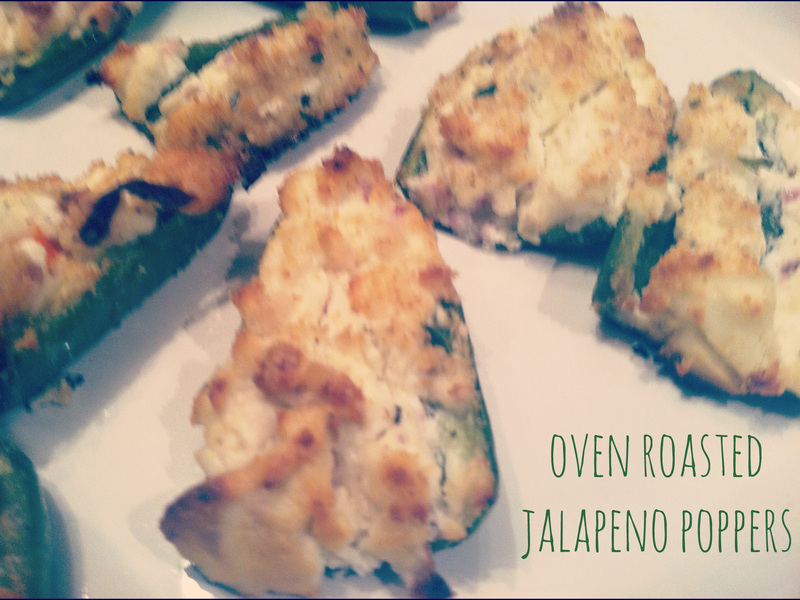 in fact, i could actually glue myself to a couch once a week…as long as i have these jalapeno poppers to keep me company. they’re stuffed with goat cheese and neufetchal cheese and baked in the oven so you’ll get all the pop with a fraction of the fat. 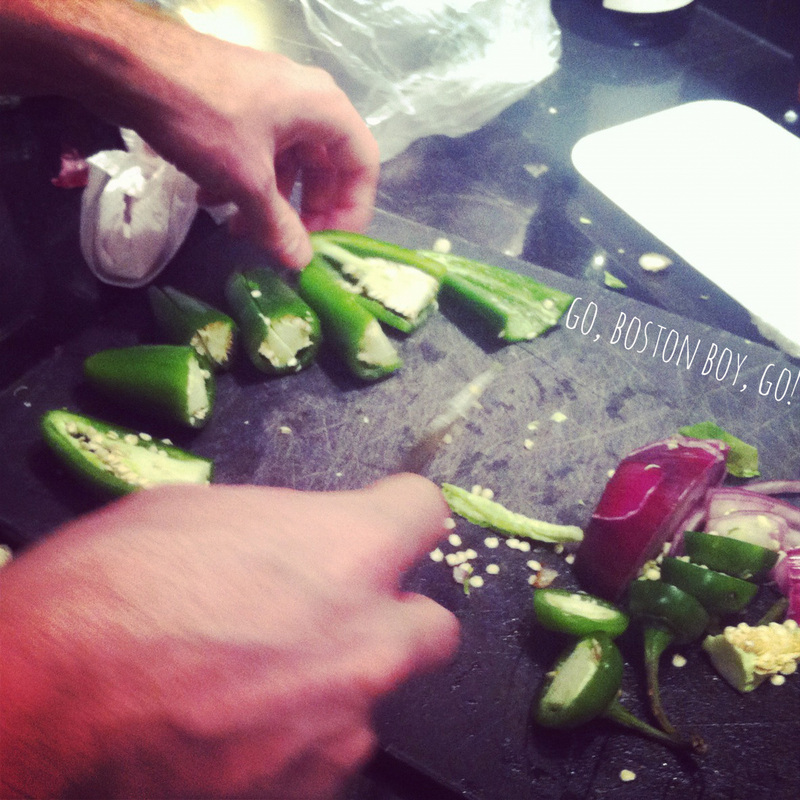 (if you love spicy, leave a bit of this in). 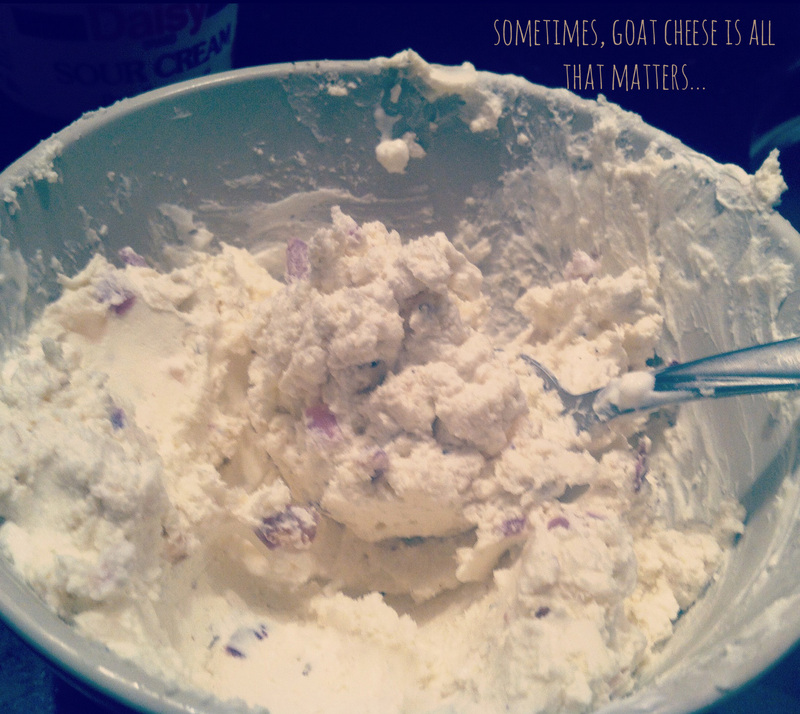 In a bowl, mix together the neufetchal cheese, the goat cheese, and the sour cream. When it’s smooth, add the chopped onion. 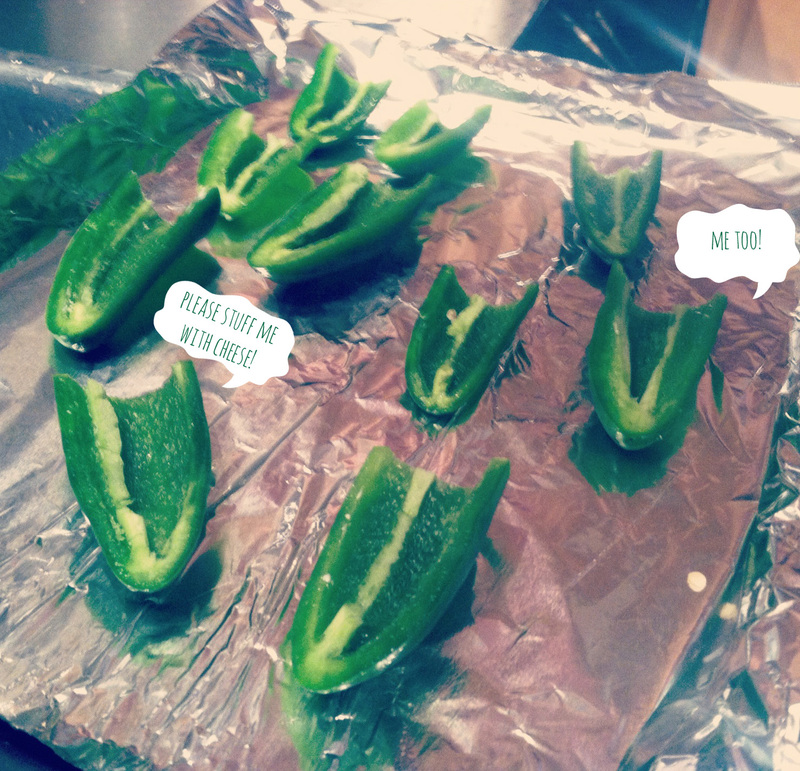 Using a spoon, carefully stuff each jalapeno boat with the cheese mixture. 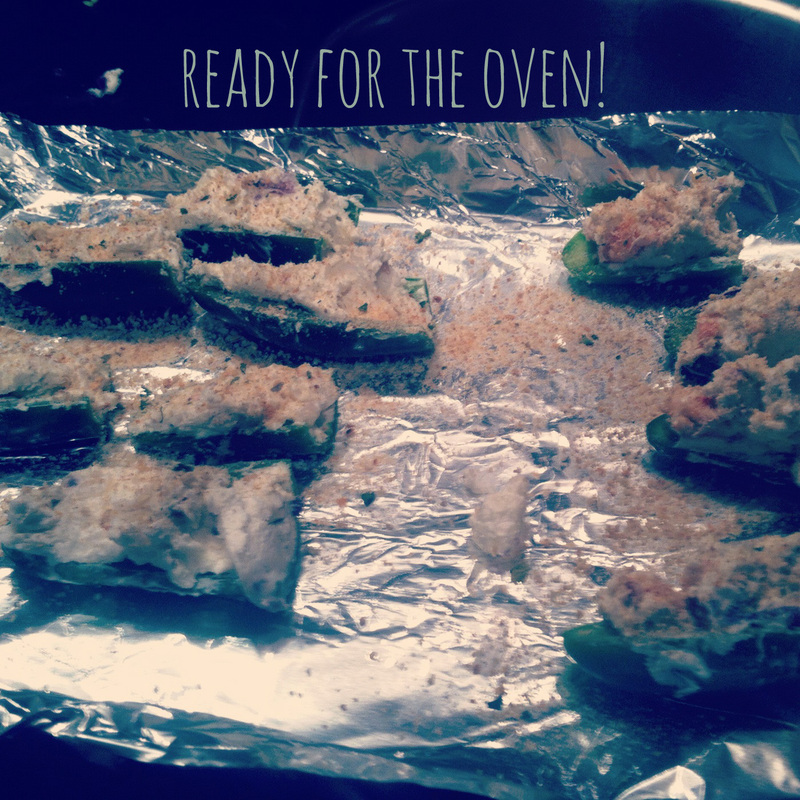 Sprinkle bread crumbs on top for crunch, drizzle the whole thing in olive oil. Bake for 15-20 minutes, until they are golden brown on the top. Then, plop down on the couch, start snacking, and just remember: 4 hours of football earns you at least 3 installments of Real Housewives of Wherever (including WWHL).